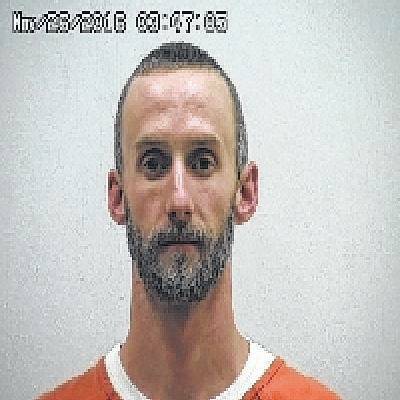 GALION — A Galion man was sentenced to nine months in prison after he pleaded guilty through a bill of information to one count of possession of heroin, a fifth-degree felony, in Crawford County Common Pleas Court. Kyle D. McClintock, 33, was also ordered by Judge Sean Leuthold to pay a $1,250 mandatory drug fine. Under Ohio’s new drug overdose law, McClintock in January when he was charged with the same offense. He pleaded guilty at that time to an amended charge of possession of drug paraphernalia and was sentenced to 30 days in the county jail. McClintock’s previous felony history includes a 10-month prison sentence in 2015 after he failed to meet the terms of his probation from a 2014 possession of drugs conviction. Another Galion man is also heading to prison for nine months after repeatedly violating the terms of this probation. Golden G. Wilson, 36, 218 Second Ave., made an initial appearance in Crawford County Common Pleas Court three weeks ago after being accused of failing to report to his probation officer and testing positive for alcohol use. Wilson was placed on probation in 2013 after pleading guilty to a possession of drugs charge. He has been back in court twice before on probation violations since his conviction.